To be a successful salesperson, it’s crucial to build strong relationships and connect with one person who will be your champion and encourage adoption of your product. However, finding that person and their contact information when it’s not an inbound lead can be exhausting, time-consuming and unfruitful for sales representatives. Connections — Reach out to your contacts on LinkedIn or email someone you know at the company asking to be introduced to the appropriate person. Blind and Cold Email — If you have the email address for a person at the company of your ideal contact, use that formula to blindly reach out to your contact. For instance, lastname@company.com and firstname.lastname@company.com are standard formulas for email addresses. List Buying — A new commonplace for outbound sales is purchasing an email list and scouring for customers. This works, but does not always provide the highest quality of contacts. That all changes with Mattermark. We provide not only company details to qualify contacts as leads; we also let you search for employees within the organization by name or job title and quickly find their email. 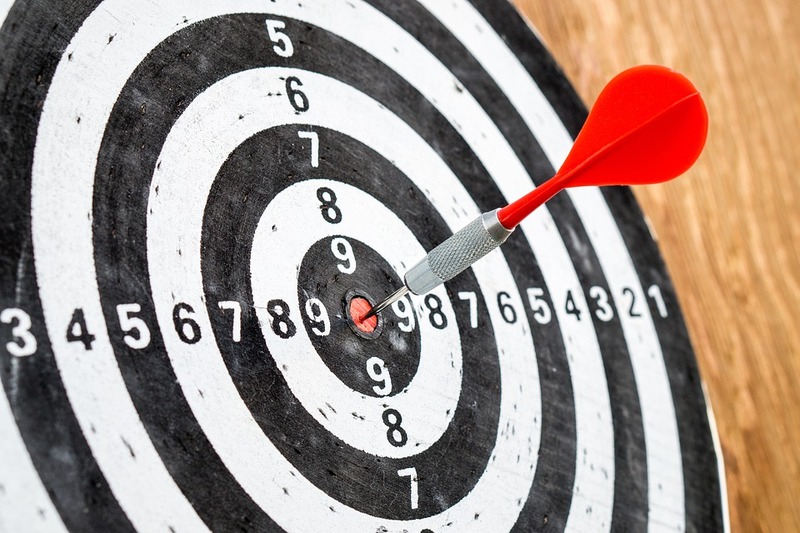 Contact details is the latest feature to help streamline your lead cycle. Tracking down contacts is no longer a manual, time-consuming process. Contact details are also helpful for identifying the appropriate person to reach out to at a specific company when that information is missing from your CRM. Let’s take a look at an example. Say you want to secure a trial signup from SiSense, a New York metro-based analytics company, but you don’t have his contact information. 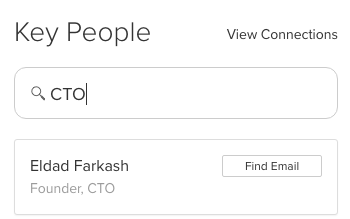 Under the company page in Mattermark, you can search for the email address of people with specific titles, such as the CTO or VP of marketing. Once you have their email, you can personalize your outreach using company details and insights to help move the conversation past purely a cold call. Mattermark is a part of every touch of the lead cycle. We help you prospect brand new leads, qualify them to reach out to people that fit your ideal customer profile, find the decision maker within that organization and help warm the first conversation based on recent news and data insights. Our billions of data points will help you close more deals and find the right customers faster. Haven’t checked out our contact details? Get started for free with a 14-day free trial today.